ICS-University of Lisbon is a post-graduate research and teaching institute, accredited by the Foundation for Science and Technology as an Associate Laboratory. ICS stands as a leading institute in the production and dissemination of advanced scientific knowledge in several fields of the social sciences, nationally and internationally. It offers 10 doctoral programmes, 9 of which are in association. Currently, it includes about 160 PhD students working actively on their dissertation. Between 2013 and 2017, 56 PhD students successfully defended their thesis. 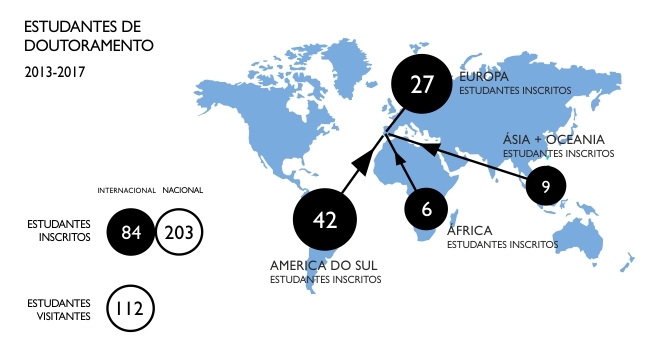 ICS currently includes 105 researchers, dedicated to supervise dissertations in the fields of Anthropology, Political Science, Human Geography, History, Social Psychology and Sociology and in other transdisciplinary study areas. ICS provides its doctoral students with individualized training and tutoring in an research environment, with opportunities for enrichment and theoretical and methodological improvement, integrated into an internationalized and multidisciplinary community, as well as the development of transversal competences in specialized domains.